10 years ago, dumping your printed MapQuest directions in favor of a Tom Tom was the definition of magic. 5 years ago, checking into the local coffee shop on Foursquare was the new pinnacle of geolocation achievement. Today the location “check-in” isn’t dead, its survival just depends on being a team player. This only scratches the surface. 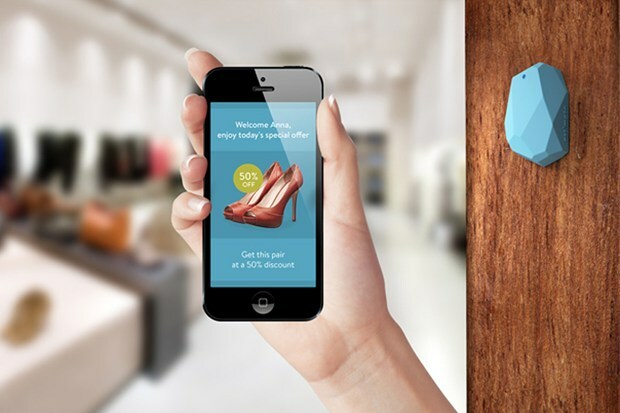 Even though both deal with location data, beacons are different than GPS in a few key ways. They represent relative positioning, since moving a beacon device is noticeably easier than moving the Earth. They also have a much higher level of accuracy at a lower battery cost. Rather than the occasional check-in, we can sample at a much higher rate without regret. A constant stream of location check-ins become presence. For indoor location, this opens up some new doors (and puns) for what you can do with the data. 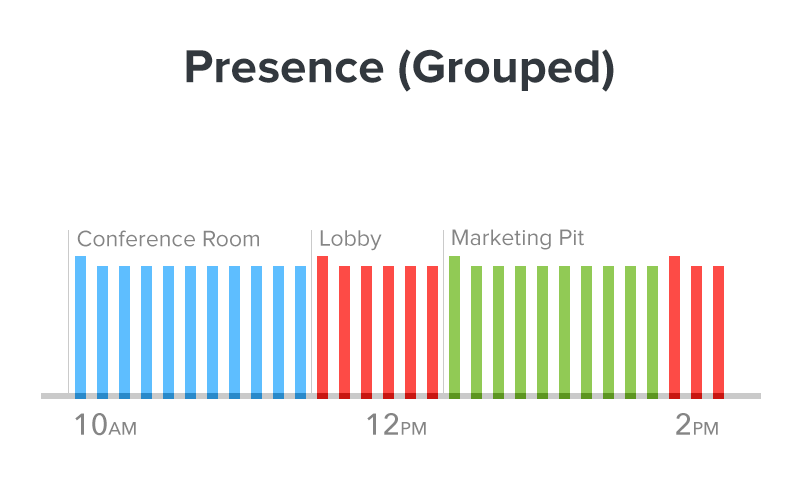 By looking at higher resolution location at high frequency, we can actually tell a different story by grouping together check-ins at a similar location. 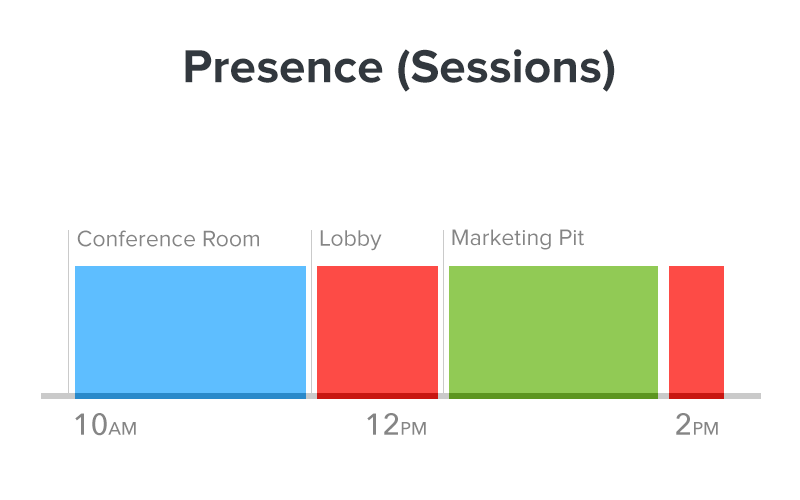 At Robin, we use session-based presence. Android and iOS phones have different rules for accessing Bluetooth, so session presence is the easiest to adjust across platforms. With this kind of presence every few minutes your phone scans for the closest iBeacon. If it finds one, it notifies our API by publishing a presence event that expires in a couple minutes. As long as we continue to do this in the same room, we’ll stay there since the original session (i.e. TTL) continues to extend. If we leave and miss a check-in, the system assumes we’ve left. We also enforce uniqueness, so walking between rooms doesn’t result in accidental cloning. When you know who is in the room, and how long they’ve been there, you’re able to see a perspective of the real world that used to be limited to website analytics. 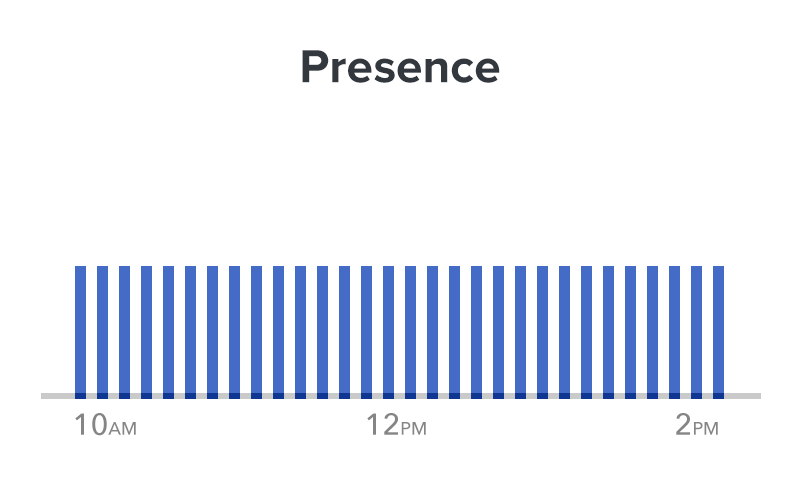 Since each presence stream is tied to a person, we can use it to determine when people are together, and then write apps that respond to different combinations. Multiple people in the same room for at least 5 minutes? Book them a calendar event. This wouldn’t be possible with a single check-in. How would you tell if two people were together? 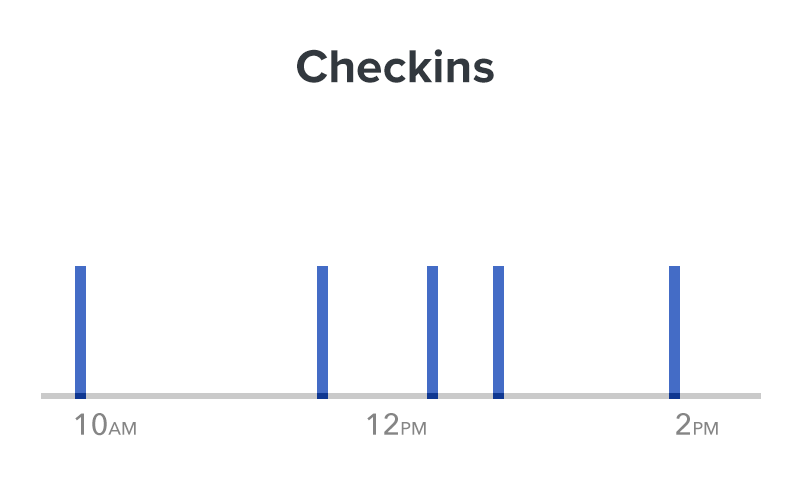 A low resolution check-in at the same place within 20 minutes of each other, didn’t necessarily mean they overlapped. What if they just missed each other like the start of a bad romantic comedy? With a presence approach, this is different since we gain the ability to see “exits” just as much as entrances. 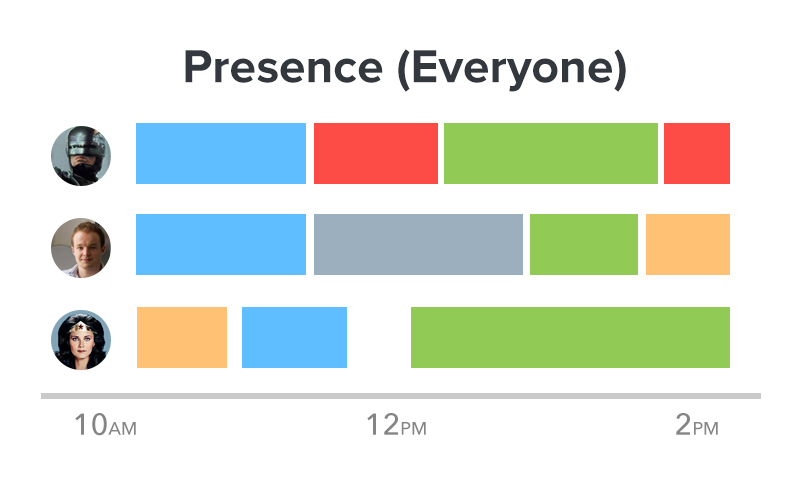 What would your app do differently if it knew who was in the room? Robin makes workplace coordination easy by teaching offices to recognize you. We’re on a mission to make the work day delightful, one room at a time. Upgrade your office. A few months ago we rigged our conference room to schedule itself through Robin using motion sensors. Here’s the hardware and presence API’s that made it happen.